The OFM Essentials Collection is where quality meets value. 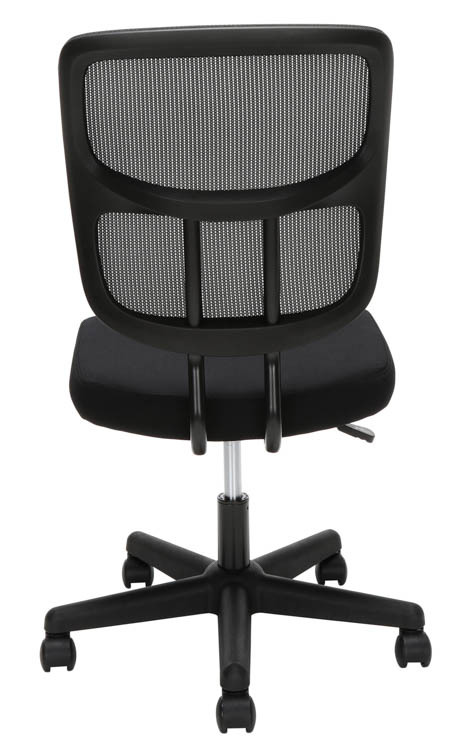 This armless mesh task chair is a must have for any workspace. 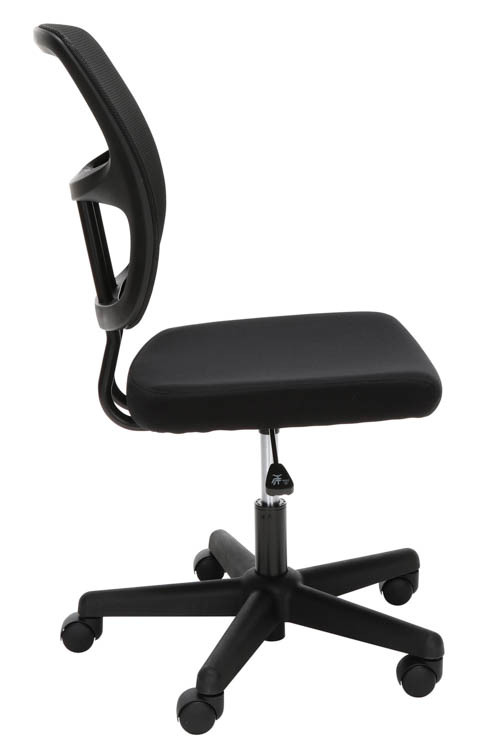 Perfect for home office use, the adjustable chair easily adapts to multiple users with its pneumatic seat height adjustment, 360 degree swivel, and armless design. The breathable mesh back keeps you cool doing school work, office work, or at the craft table. The 5 star base, with dual wheel casters, allows for stability and mobility. The comfort, stylish look, and price point, make this chair a perfect addition to the office, whether at work, school, or home. Overall Dimensions: 22.5"W x 2"D x 35.3" - 40.1"H.